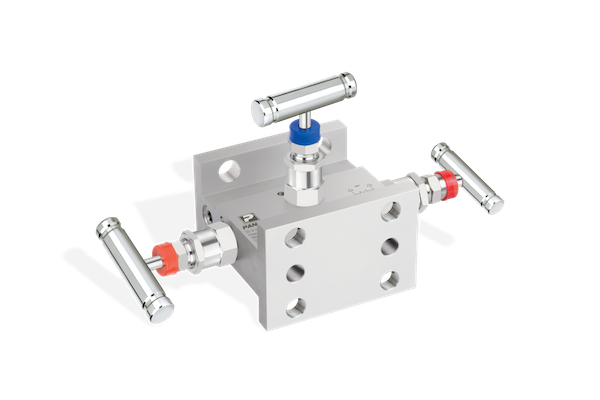 PANAM Instrumentation Valve Manifolds offer a safe and economic method of installing instrumentation to control and measure the pressure and flow of liquids or gaseous media. They are ruggedly manufactured, and precision machined to the exact dimensional tolerance to ensure ease of installation and application. PANAM Two Valve Manifolds are designed for connecting system impulse lines and transmitters. 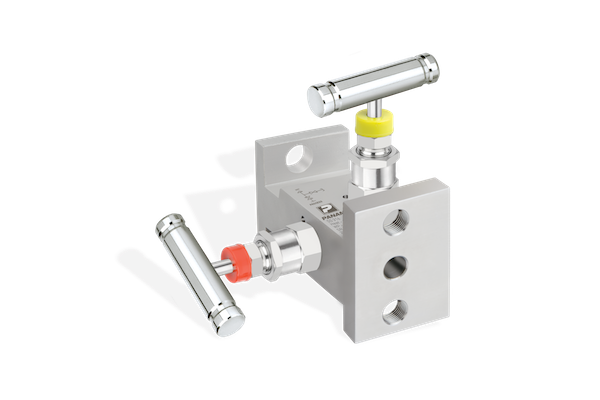 The two-valve configuration allows for easy isolation, calibration, and block & bleed for gauges, pressure switches, and static pressure transmitters. They are ruggedly manufactured, and precision machined to the exact dimensional tolerance to ensure perfect installation and application. These two valve manifolds combine the functions of a tee, a calibration valve, an isolation valve and all tubing and fittings into a single compact unit thus reducing the number of fittings and space required for installation. They are available in both A105 Carbon Steel and 316 Stainless Steel (Monel, Inconel and Alloy available upon request) and are rated for pressures as high as 6000 psi. 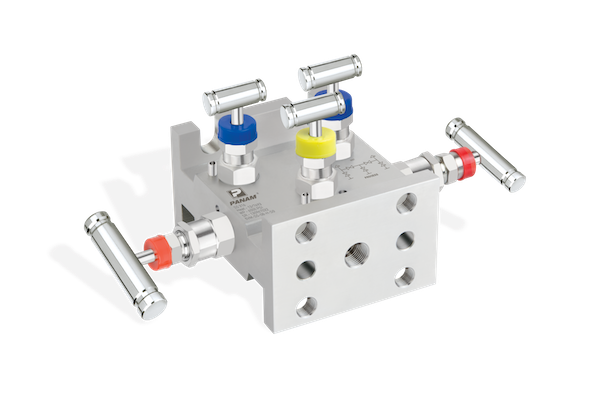 PANAM Three Valve Manifolds are designed for connecting system impulse lines and transmitters and are rugged in construction to withstand high pressures and temperatures. They consist of direct or remote mounting connections, with one equalizer valve and two block valves. Configurations include pipe to pipe (R), pipe to flange (T) and flange to flange (H) with ½” FNPT connections and standard 54 mm (2 1/8”) flange centers. PANAM Five Valve Manifolds are designed for connecting system impulse lines and transmitters and are rugged in construction to withstand high pressures and temperatures. They consist of direct or remote mounting connections, with two equalizer valves with a center common vent, two block valves and two ¼” FNPT purge ports. Configurations include pipe to pipe (R), pipe to flange (T) and flange to flange (H) with ½” FNPT connections and standard 54 mm (2 1/8”) flange centers.